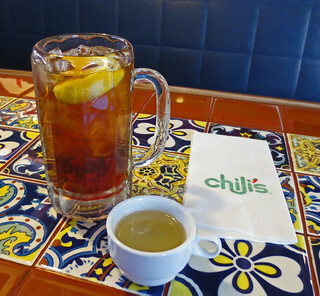 That was my first thought when the server at Chili's set my drink in front of me today. Actually, I had ordered an iced tea and it comes with a sugar syrup on the side for easy mixing. Chili's is located in the City Centre mall and has a menu that is identical very similar to any Chili's at home. (It's Sharia-friendly. Don't look for pork chops and beer.) They do a pretty good job on most things although the black pepper sprinkled on top of the corn on the cob suggests that the chef hasn't yet visited headquarters in Dallas. 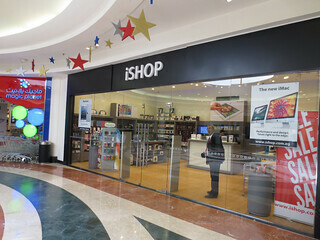 This gives me a chance to post a good picture of the iShop store that is also in the mall. If you plan to visit Egypt soon (and please do, they need your tourism dollar) and have any concern about finding essential things, note the easy to understand signs. We spent the day shopping over at Carrefour today. Besides groceries we wanted two small electric appliances. Linda needed a new blender and I needed a new coffee maker. Linda liked the design of the blender container on this model. 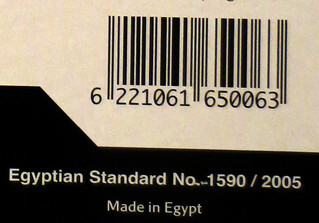 It's an Egyptian product and so I thought, let's help out the economy and buy domestic. After getting it home and trying it out, we found it is going to be rated "unacceptable." Linda chopped a little ice in the blender then added some liquid which promptly leaked out the bottom of the container onto the motor housing, the counter and the floor. 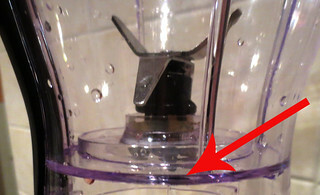 While your blender container may have sides and a bottom that join with a rubber gasket or be a single molded unit, this bottom looks like it is just a plastic disc glued into the container. They should have used more glue. My coffee maker had a different problem. It looked like it had been opened and returned previously but was the only unit left in stock. 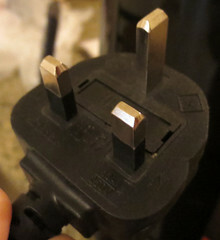 When I opened it up at home, I discovered that the plug has square prongs instead of the round ones that are the norm here. 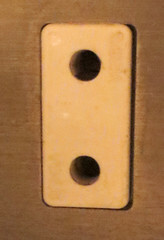 Per Wikipedia, this appears to be a British standard plug (although also used in Saudi Arabia) versus a standard Europlug. My problem will be solved with an adapter or via changing the line cord. And I love how the Wikipedia article refers to it as an "earthed" plug. Charming! Fortunately, both products are covered by the Carrefour store guarantee. Whenever you pick up an appliance at Carrefour, a salesperson is standing nearby to sell you an extended warranty. Shades of Best Buy! 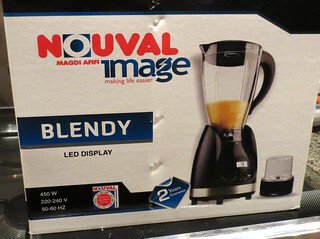 Actually, it is not so much an extended warranty as it is a one-year Carrefour warranty giving you an easy way to return it if problems develop. We'll see how that goes! We seldom pay much attention to the weather here. 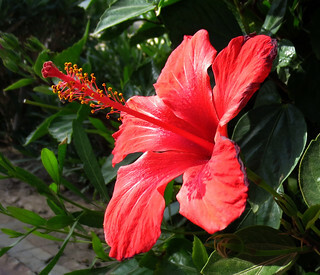 In the past three weeks the temperatures have varied between 49 and 73 degrees. For us that means a sweater at night and short sleeves on our morning walk. All but one day has been sunny. Yesterday, we decided to head out in a southerly direction for a half-mile to a new "supermarket" that has opened along the road to Sakarra. As soon as we were outside, we knew the weather was a problem. The wind had picked up to about 15 or 20 mph. In Egypt, that means sand and dust in the air. We forged ahead in spite of limited visibility. 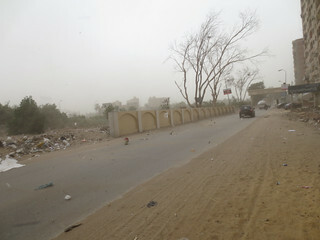 Besides sand, a breeze like that also picks up the ubiquitous trash on the side of every street and starts moving it around too. Paper and plastic bags become airborne. After exploring the store, we headed outside to find that the wind had died down and a very light rain had begun to fall. Not enough to get us wet in fifteen minutes, mind you. But the temperature had fallen from about 64 to 60. And that was winter. I'm not expecting much sympathy from anyone back home in the Twin Cities where I understand that the ice now lies thick on the streets and sidewalks. Today the temperature was back in the upper 60s. 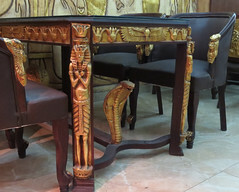 Sometimes it is surprising what we find on an outing anywhere in Egypt. For instance, two years ago, we enjoyed a couple of trips to a restaurant located along this street. Now an unusual building has taken its place. Is this a Frank Lloyd Wright inspired design? Nearby, we stopped in a convenience store and noted that there is no shortage of Hostess Twinkies here. Then, as we began returning to our apartment, I stepped out into the street to capture a view of some buildings in the distance. I accidentally tripped the shutter before I had composed the picture. Later, I realized there were several pictures captured in that shot. 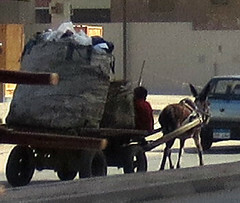 There is the garbage hauler with his donkey cart. 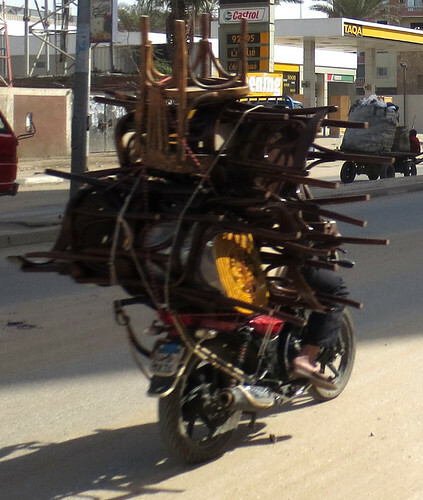 There is an answer to the question, "How many chairs can be hauled on a motorcycle in one load?" And there is an explanation for why people here always walk in the street and never use a sidewalk. -- There is too much stuff piled up on the sidewalk. It's Monday evening and life remains calm, at least in this portion of the capital city. Last night, president Morsi addressed the nation on the situation in the Suez / Port Said area. 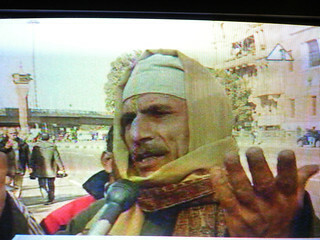 It had been promoted on all the local channels and was covered live. Some demonstrations continue downtown in Tahrir square and we understand that the Mugamma, or government center, building there was closed today. Talking to friends, there is great concern that the demonstrators in Suez and Port Said were attacked by police with live ammunition. Beyond that, one hears rumors of "the old government" is behind it all etc. Most of our friends here are concerned with the state of the economy and the lack of attention to it by the new government. But they also indicate their patience and that they didn't expect economic miracles. 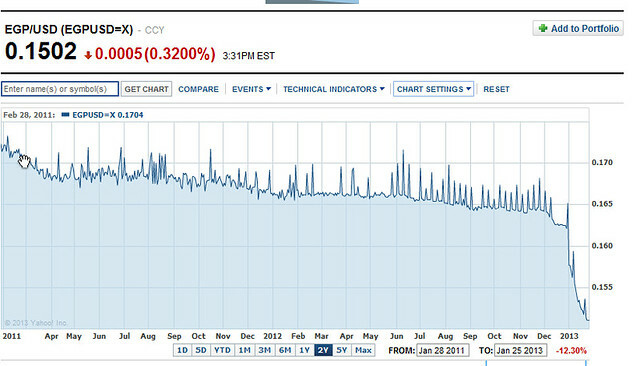 In the international press, the number of times I have seen the phrase "Egyptian pound plummets," has been increasing. There had been quite a bit of use of that word "plummet" in the past two years so let's go to Yahoo Finance and take a look at the numbers. This past month has actually seen a plummet. But even so, the 12.3% drop in the EGP in the past two years is nothing compared to the wild ride of the Euro over the past few years. Some of those plummets are about 20%. 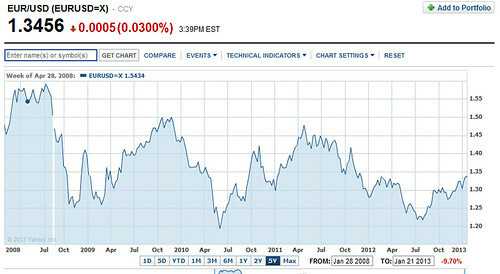 And if you want to compare the dollar to gold, silver or oil over the past few years - now there's some plummeting! Remember gold at under $1000 an ounce and gasoline at $1.89 four years ago? Still, on this trip to Cairo I have occasionally encountered the response, "dollars or pounds?" when I ask, "how much?" Even the neighborhood convenience store operator is willing to give me a 15% premium if I will pay in dollars. So everyone want to hedge the pound a bit. I hadn't heard that in previous trips and there was a time when the dollar was even looked down on versus the opportunity for Euros. 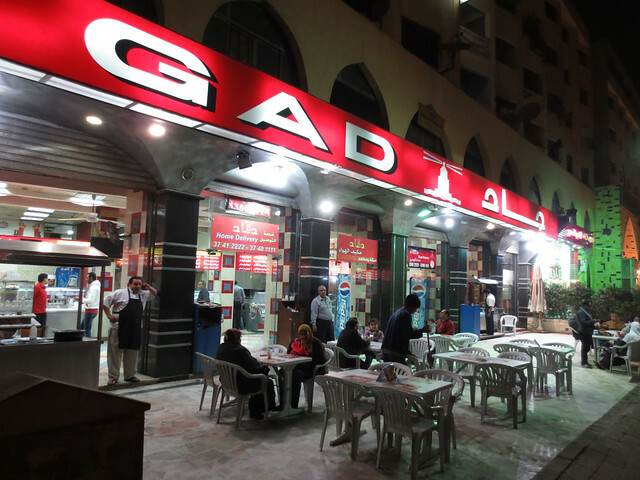 Meanwhile, we took a taxi up to Pyramids street last night and had a dinner at Gad's, self-proclaimed as "The Best Restaurant in Egypt!" Business was very slow compared to any other time we have been there, but there were lots of people out on the street. Here are a couple of pictures of the front of the building as well as a picture of the bedroom furnishings in the store next door. I am trying to talk Linda into buying some of those tassels and drapes for our boudoir. 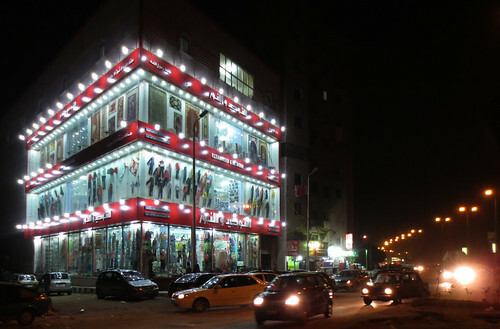 The neighborhood department store is the "go to" location for much merchandise here in Cairo. 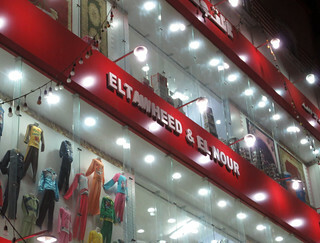 And the department store that is best known is El Tawheed & El Nour. There are quite a few branches around town and they are pretty easy to spot, especially after dark. We now have our own branch about a half-mile away. We stopped in on Thursday night and bought a few things. There are four floors with the first floor having lots of specials, including treadmills that night. The next floor had women's and children's clothes, the next included menswear and the top has furniture. Buying something here is not quite like shopping at Macy's. You will find a half-dozen or more men on each floor eager to help you. As you walk the floor, one will be right behind you ready to suggest good bargains or reach something for you. Now, let's say you pick up a flyswatter. You can carry it around with you but as you approach the stairs, one of the men will take it from you, make out a slip of paper, and give you that in place of the swatter. The swatter will be handed to another man in charge of a group of runners. The runner will disappear down to the main floor. After making your shopping rounds, you will have a handful of those papers with items and prices. You proceed to the cashier area on the first floor. There you will find a row of windows manned by bearded cashiers. One of them will take your slips and hand copy the necessary information onto another slip and total up the prices. Since he is using a small calculator, he will turn it around and show you the grand total. After you pay, you get another slip of paper. You hand this one to the man at the door who turns and gives it to a finder who will collect all the items, bag them and give the bag to you. In spite of the apparent overhead associated with all the staff, prices are very favorable. Merchandise quality is on what might be called the low-end. This has been a holiday weekend in Cairo. Thursday, January 24th, was The Prophet's Birthday. That is the English translation of "Moulid El Nabi." This holiday presents a bit of a dilemma for many Egyptians since it is not considered proper to celebrate the birthday of The Prophet, but this is a national holiday with a long-standing cultural tradition. The Moulid festival spread throughout the Muslim world and is celebrated in many countries, however, some conservative sects consider it to be idolatrous. 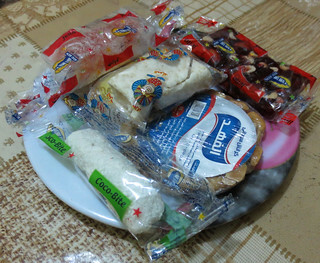 Though Muslims in general are aware of Moulid not being a truly Islamic custom, it is still considered a happy occasion where families and friends spend time together and eat good food particularly "Halawet el-Moulid" special sweets offered during Moulid, "hummus" (chick peas) and most of all "Aroussa al Moulid" (candy doll) for the children. 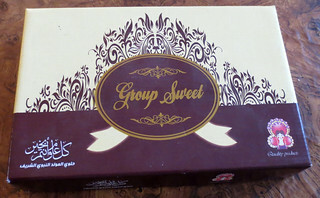 We were given a box of the special candy. Some are pure sugar, other pieces are like Turkish Delight and some a bit like peanut brittle. The following day, Friday, January 25th, was the big holiday on everyone's mind. Once know as "Police Day," this used to be a minor holiday. 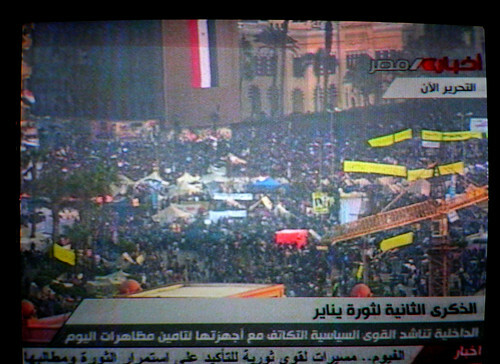 But two years ago, the Revolution began in Tahrir Square on this day. So, now, it has begun to be celebrated as "Revolution Day." There had been much rumor and anticipation that violence could erupt and major new demonstrations might take place. All the people that we know planned to stay far away. We stayed home and watched a bit on television and also monitored the Internet. It was a rather quiet event. 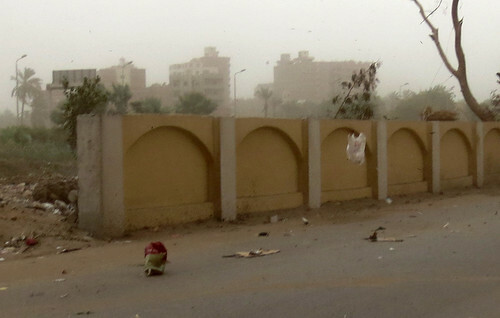 There was a bit of rock-throwing and some protest but much of this was in other cities or near other prime political spots in Cairo, not Tahrir. 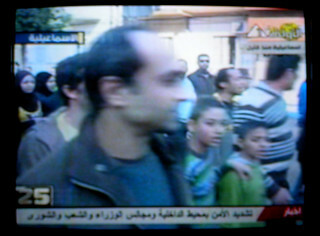 I took a few pictures from a local television station that was doing all-day live broadcasts of revolution events. Here is a shot of the crowd in front of the Egyptian Museum. Notice that people brought their children to the square. For a good overall view of the crowd, go to this site. And much of the coverage included "man in the street" interviews. It got a bit wilder in the evening but was generally a peaceful crowd. 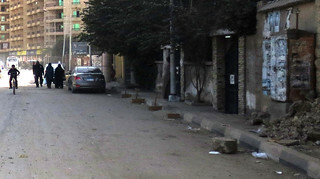 If you were following stories that appeared in international media, you probably heard about the deaths at Port Said. These are more associated with a soccer riot than they are with government protest. Before judging too harshly, keep in mind these three stories from Chicago which is on pace to top 700 homicides for this year. 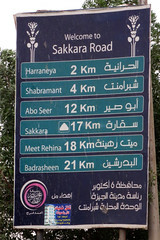 If I were to be dropped into a random spot in a city, I wouldn't hesitate to choose Cairo over Chicago! 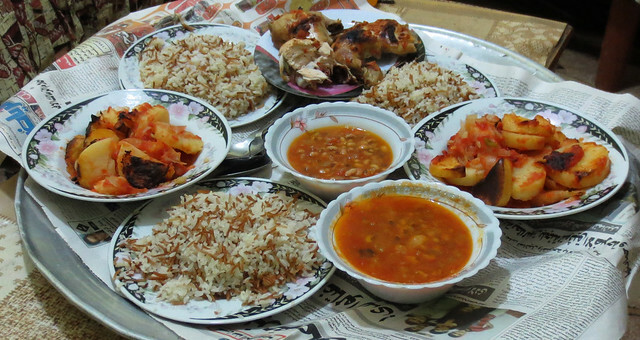 We were invited out for dinner last night and had a very tasty typical Egyptian family dinner. The potatoes and beans were both prepared in a tomato sauce. When served over rice, they make a very tasty combination. Yes, that's right, potatoes and beans over rice! That is chicken on the back of the platter - this wasn't 100% carbs. Linda is working on getting the recipe for the tomato sauce. We could see bay leaf and taste garlic but there is more flavor in the dish than just that. It may be "some spices" as we refer to it when someone is unwilling to disclose an exact family secret recipe. 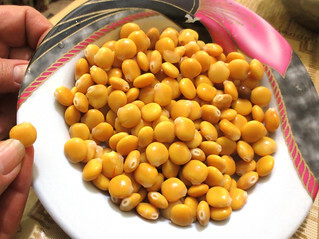 We also had an appetizer of Lupini beans. Now, the people that I see walking the streets of Cairo don't seem to suffer from the same obesity noted in this Gary Taubes article. Perhaps the key word there is "walking." Life here involves a lot of that. I'll Take the Fruit Plate! 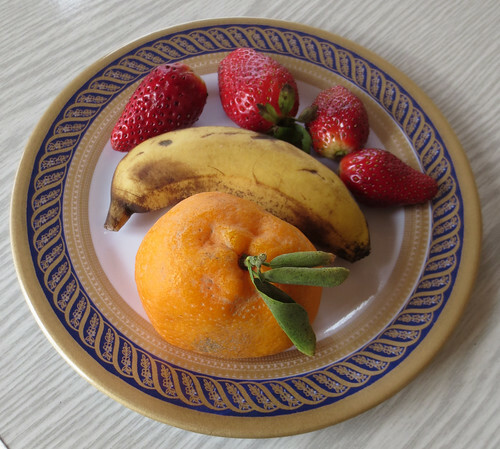 We had picked up some good strawberries yesterday, so I had a fruit plate for breakfast. 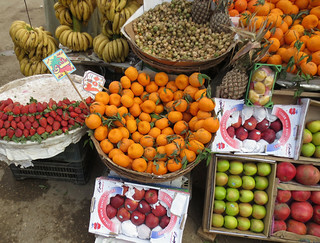 You will encounter a fruit vendor on just about any major street in Cairo. 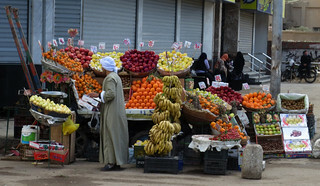 While there is fruit available in the supermarkets, most people buy from these vendors. This one has long "owned" the corner where Ragab Brothers market now resides. 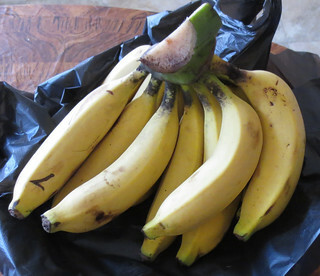 Bananas are currently selling for 5 Egyptian Pounds per Kilo. That works out to about 35 cents per pound. Here is a kilo, or 76 cents worth. Yusuf Effendi al-Armani, bought and brought with him mandarin saplings from the Island of Malta, and planted it in Muhammed Ali’s orchard. The fruit became popular and its production was so lucrative that it was named Yusuf Effendi after the enterprising Armenian who introduced it. An important word to learn when traveling is the local term for beautiful or pretty. In Egypt, the word is "helwa." You will hear it used to describe pictures, cars, children. 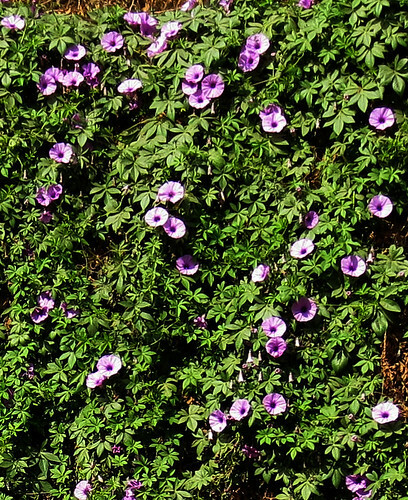 Today we were back on our usual walking route and noticed this vine-covered stone wall for the first time. 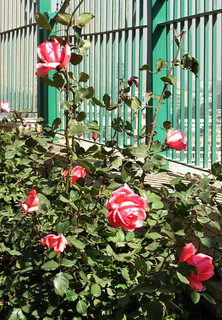 After taking a picture of the wall, I took another closer shot of the blossoms. 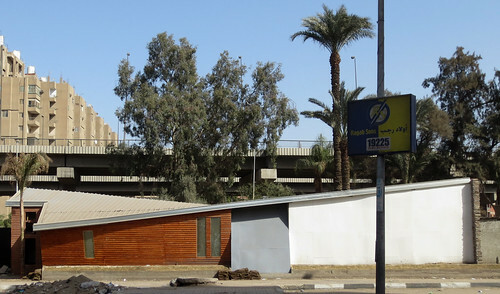 Putting the camera away, an older gentleman sitting on the curb said to me, "helwa," pointing to the wall. "Aiwa (yes), helwa" I replied. It doesn't really take a lot of words to exchange thoughts in any language. 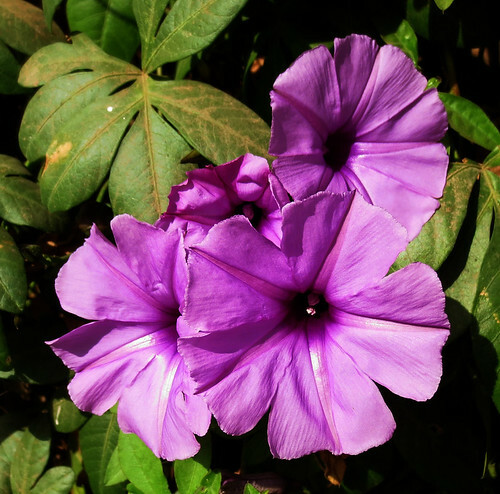 We don't know what this flower is. Perhaps some reader can help. What's the Price of Gasoline in Cairo? For the good stuff, that is, 92 octane, you will pay 1.75 Egyptian pounds per liter. That is up from 1.42 per liter two years ago. At current exchange rates today's price translates to $1.01 per gallon. 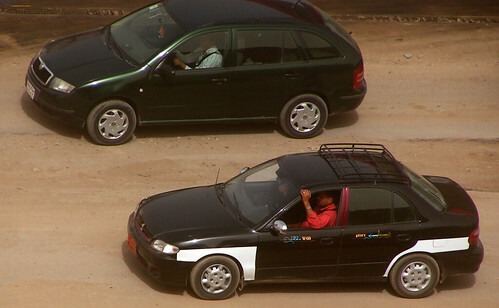 Obviously, the Egyptian government provides a significant subsidy. And that is about to change. In April, the plan is to only allow 5 liters per day at the subsidized 1.75 price and to charge market prices beyond that. This should turn out to be an interesting logistical problem! Linda and I headed out on our usual walk around the neighborhood this morning around 10:00. We walk about two and a half miles and cover a route that takes us past a couple of cabbage patches, a new mosque under construction, plenty of apartment construction, two language schools, a supermarket ... In other words, it's a pretty comprehensive cultural survey of the community. It's likely not great exercise because the pace is slow. We were only about ten minutes into our walk when a neighbor called us and suggested that we could take our daily walk by accompanying him and his family to their club. 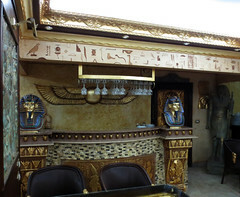 Clubs are a key social center in Egypt for many people. There is a judges club, a teachers club, sporting club etc. 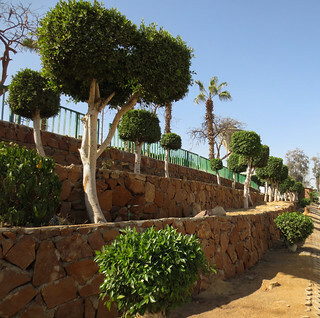 Typically, they are found along the Nile or on a hill with a view. Members may stop in for tea or dinner and the club might host a wedding. Some of the more prominent ones sponsor a football (soccer) team or even have their own field. The closest analogy back in the U.S. might be a country club without alcohol or golf course. So, we joined our neighbor and his family and headed across town to his club. We were joined by members of his extended family and at one point were part of a group of thirteen. We ended up back home around 6:00 p.m. after lots of good conversation. 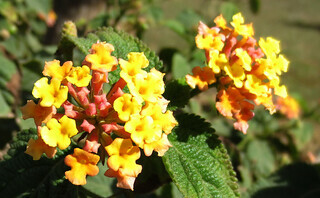 Besides roses, Lantana and Hibiscus are also currently blooming. And I can't resist taking pictures of satellite dishes that sprout like weeds in the garden. And this small and old walled area holds a cemetery. What is the biggest change I've noticed here since the revolution? Well, take a look at this picture from pre-revolution Cairo. Both the taxi driver and the private citizen are wearing their seatbelts. Now, based on a lot of experience, I can tell you that they might not be fastened. Many drivers just pulled them across their chest until approaching a police checkpoint - then they clicked them. But the police enforced the law strictly and no one liked it. I've been looking for someone wearing a seatbelt for the past week since I first noticed the change. I have yet to see one. Even though numerous police are back on the streets and highways, this law seems to be a priority with neither. Here's a link to a different form of defiance of a similar law. 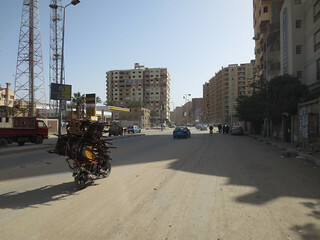 I published a post about using an iPad in Egypt to this blog about two years ago. It's time for an update. 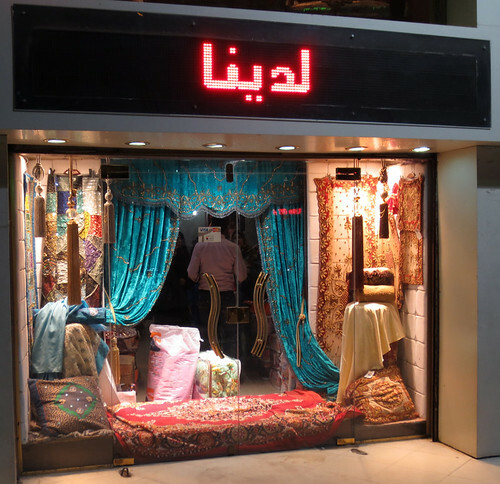 On our second day in Cairo we headed over to Maadi and the City Centre Mall. If you are a novice at Cairo, just say "Maadi - Carrefour" to a taxi driver and he will get you there. Pronounce it "maw oddy -- car 4," that's close enough. Be sure to bring your iPad and your passport. Once you reach the mall, you will be able to work in English. I'd previously had very good service from the large Etisalat booth in City Centre. Etisalat is one of the three cellular companies here and apparently has the best 3G network judging from the people I see using it. Much to our surprise, there was no Etisalat booth in its previous location. We checked with the information booth at the center of the mall and were directed down to one end of the mall. There, a much smaller booth was staffed by a single worker. I explained that I needed two 3G connections - a new sim for my iPad and a "stick modem" for my computer. We took care of the iPad first. The sim costs 15 Egyptian pounds and the maximum data plan is 150 pounds per month. Buy the maximum. The worker prepared the sim and then asked, "do you have your pin?" I didn't get it immediately, but he was asking for my "iPad Metal Sim Tray Eject KEY Tool" Apple's dumbest idea of all time. Worse yet, he didn't have a paper clip and neither did I. The good news was that there is an Apple iStore in the mall that would install it for me. And one more piece of bad news. They were out of "stick modems" and wouldn't have any for another week. The iStore wasn't terribly busy. They quickly installed and tested the sim card for me at no charge as you would expect from an Apple Store - probably Apple's best idea! A couple of hours later, as we were leaving at the other end of the mall, we found a second Etisalat booth. 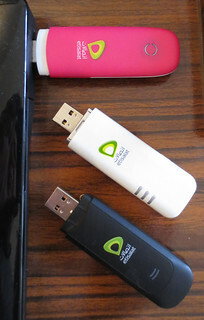 And, of course, they did have stick modems. But only in pink. Did booth 1 not know about booth 2's stock? Was the first salesperson ashamed to offer me a pink one? It's another Egyptian mystery. But here is my total collection of old and new modems. Now, back to the original subject of the post. The 3G network appears to be over-sold or at least over-utilized, at least in our neighborhood. For an early riser, response time on the network is excellent throughout the morning. Around noon things slow down. And I can pretty much tell when "school is out" and "dad is home." Things are very s-l-o-w throughout the evening and night with response picking up around 2:00 a.m. Much of the evening time, I'd call it unusable with several minutes required to refresh even a modest-sized webpage. And uploading photos? Forget it until morning. Linda was browsing some images on Google this evening and received a message, "You are seeing the basic version because we think your Internet connection is slow"
Well, I guess that makes two of us! 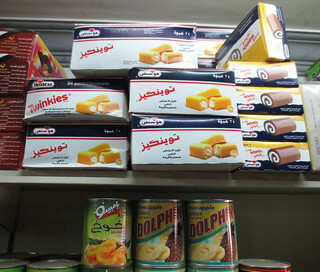 On our first day back in Cairo, we walked up to the neighborhood convenience store (It's called a supermarket here) to buy a few items. We were excited to see a new restaurant next door. 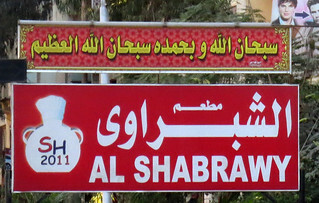 And, best of all, it was a branch of the Al Shabrawy chain. Al Shabrawy is a fast food restaurant offering a wide combination of good middle eastern treats like Kofta, Shawarma and Kabobs. Here is a good sample menu. Prices are in Egyptian pounds so divide by 6 to get an approximate price in dollars. 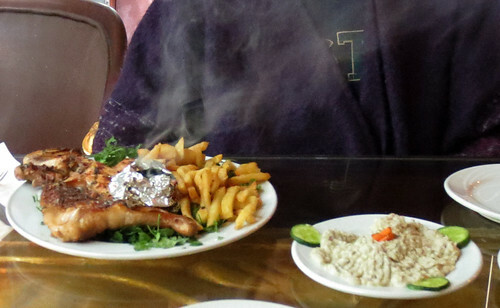 Most of the business at Al Shabrawy is take-out but they usually have inside seating and ours here is no exception. 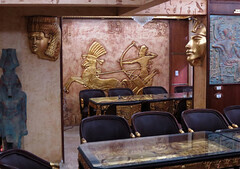 Since it is located next to a crafts shop, the decor appears oriented toward tourists and is a bit "over the top." We ordered a Kofta plate and a Shawarma plate. Both were excellent. The Al Shabrawy Oriental Salad is very good - a spicy treat. I give the Tahini dip a 5 out of 5 rating. We went back again last night and each ordered the roasted (and pressed) half-chicken special. It was prepared with a spicy rub that was superb. 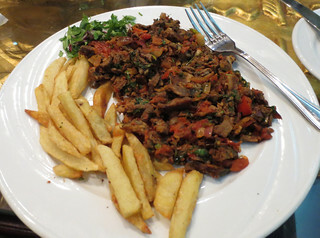 And the French fries are likely the best in Egypt. Prices? Well, for two dinners, salads and beverages you'll pay about a total of ten or eleven dollars. A terrific value! How's the Egyptian Economy Doing? Bad Ideas or Bad Location? Why is This Lane Barely Moving?